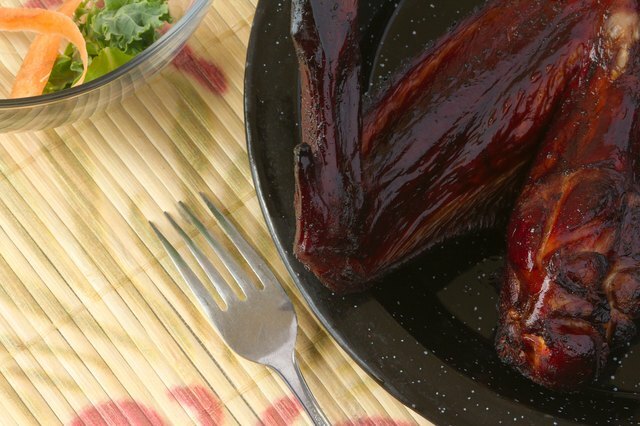 Smoked turkey wings are a meal that many avoid preparing due to the perceived difficulty of the process. As it turns out, though, cooking smoked turkey wings is fairly simple and takes just a couple of hours. 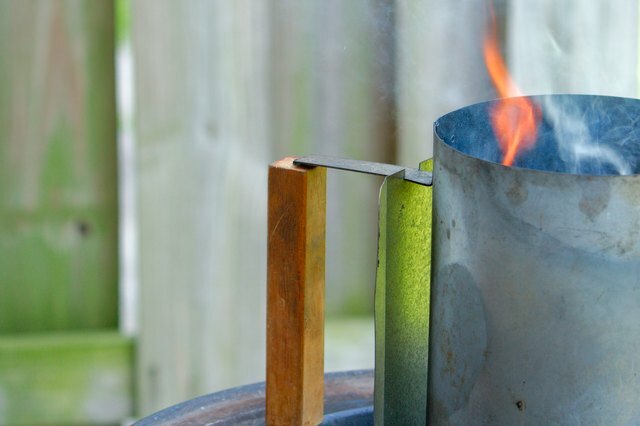 First things first — you'll need a traditional, charcoal-heated water smoker. These are best to use for turkey wings because it allows them to remain in the smoker for the full amount of time without drying out. Follow these easy eight steps for some of the most drool-worthy turkey wings you've ever eaten. 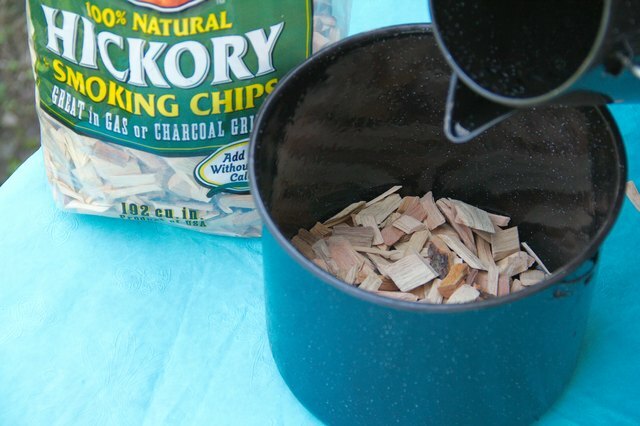 Soak a whole pack of wood chips in water for at least an hour. The wood chips will flavor the meat, so choose a type that pairs well with turkey. Hickory and mesquite chips are popular choices. Remove the charcoal pan from the smoker. Place the chimney starter on the pan's rack and fill it with charcoal. Place several wads of crumpled newspaper in the starter's small cavity in the base. Light the newspaper with a lighter. 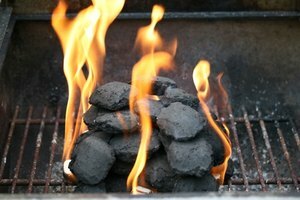 Dump the hot coals into the charcoal pan when flames start to lick the top coals in the chimney starter. 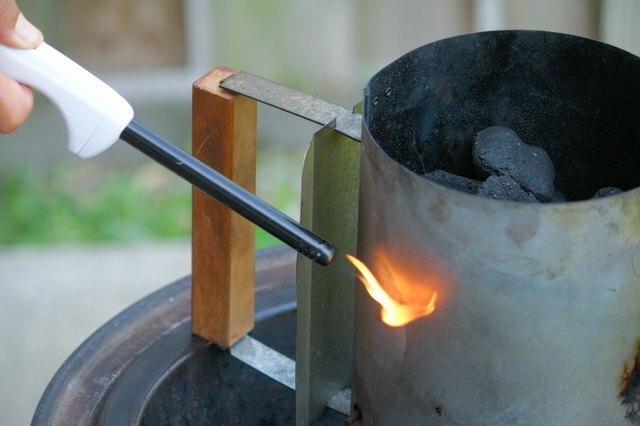 Spread out the lit charcoal in an even layer on the charcoal pan's rack, then cover with a layer of unlit charcoal. Strain the wood chips from their water, reserving the liquid. Pour the water into the smoker's water pan, topping it off with additional liquid until it's full. Slide the water pan and then the charcoal pan into the smoker. 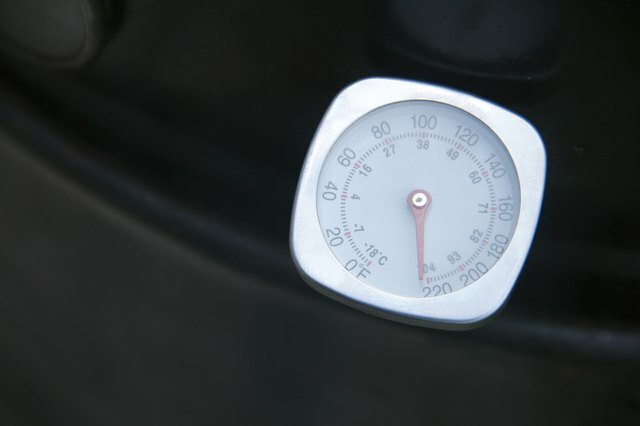 Clip an oven thermometer into the top compartment of the smoker. 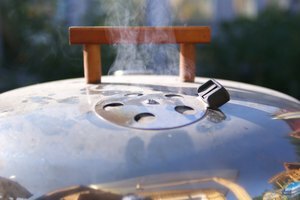 Close the smoker and wait for the temperature to reach 200 to 250 degrees F.
Place the turkey wings on the smoking rack in the top of the smoker. 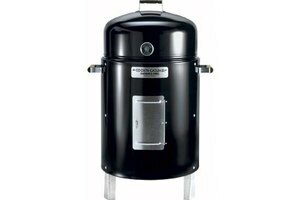 Cover the charcoal with a layer of damp wood chips through the side door in the smoker. 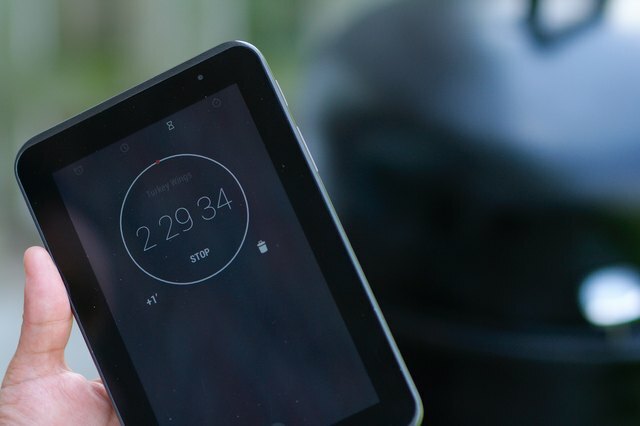 Monitor the temperature of the smoker, adding more charcoal and wood chips when the temperature dips. Refill the water pan with fresh liquid when it is almost empty. Smoke the turkey wings for 2 to 2 1/2 hours. Keep them covered as much as possible throughout the cooking process to allow them to soak in the smoke. 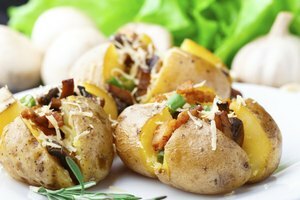 For extra flavor, soak the wood chips in apple juice, wine or apple-cider vinegar and use that liquid (along with water) in the smoker. 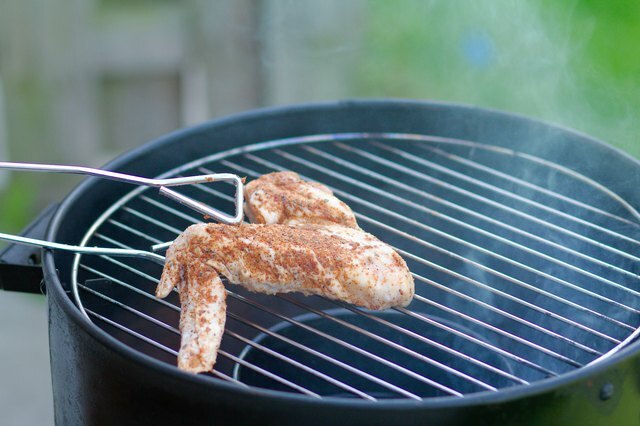 Some chefs like to season the turkey wings with dry rub or salt and pepper before smoking. This isn't absolutely necessary as the smoke provides most of the flavor.